Friends Groups serve the Park Authority by advocating for parks and by raising funds support for their designated park, facility or program. Each group is organized in a manner to best supports their targeted mission. Sincere appreciation is extended to the members of the following organizations within the Fairfax County Park Authority's Federation of Friends. 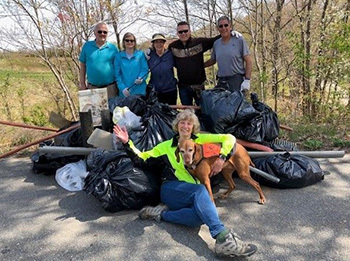 FCPA’s Park Volunteer Teams support park events, cleanups, and beautification projects to improve Fairfax County parks. There are many ways families, groups, and individuals can get involved to help care for the parks below. Volunteers under 16 years old must be accompanied by a parent/guardian.